Many Amazon sellers reach out to their customers to ask for feedback or reviews, as well as, to inform them about the details of their orders. While this is a good strategy, doing it more than usual can annoy customers and lead to early unsubscribes. This is especially true when messages become irrelevant. Each message you create should be meaningful and interesting. Otherwise, your customers will not spare a minute of their time reading it, leading to high unsubscribe rates. This is certainly something you will not want to happen when building your business. To make sure your messages get opened and read, keep these tips in mind. Do not confuse your customers with your message content. Keep them short and sweet. If you’re looking to get a Seller Feedback, then ask your customers for it. A quick note saying, “We would like to hear your thoughts” or “How was your experience with us” are enough to inform them what you need from them. If you want to let them know about their order, then write messages that include the details of their order. It is important to customize your message depending on your customers’ needs. Sending a templated email every time reduces the personal touch and lets you appear like a robot. Study after study has proven that customers dread talking with a machine. That said, craft lots of emails you can use at different situations and tweak them where necessary. Another option is to use a Feedback Generator Tool, like what SellerMobile has, so that you can save time writing emails from scratch and sending them manually to customers. Try to message your customers only when necessary. Don’t bombard them with content not related to their purchasing journey. Over messaging not only annoys your customers, it can also lead them blocking your messages as spam. If possible, limit it to three messages per customer’s order: before the order, during the order and after the delivery. Creating an effective sequence of messages saves you the hassle of gaining unsubscribed rates from your customers. 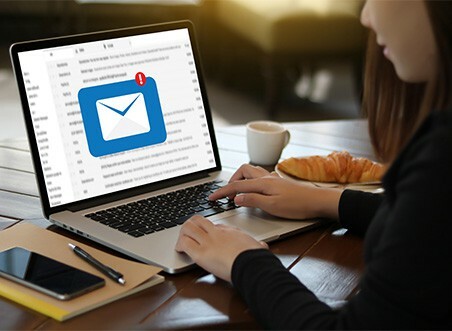 But more than that, a perfectly timed email helps you to successfully engage your customers, build relationships, and encourage them to do repeat business with you. Other than creating messages related to your customer’s order, you will also have to write emails for other situations. This may include shopping cart abandonment, browsing behavior and new product launch. There are a lot of tools that offer email automation. One of it is SellerMobile. Our software offers an automated feedback tool that would allow you to automatically send messages to your customers for product reviews and feedback for recent purchases. Besides that, this feature lets you create various campaigns for different purposes. You have the option to use a template or craft your own from scratch. You can also decide when to send the email out and preview it before it reaches the customers. And the best part is? SellerMobile comes with an array of algorithmic features that will do the heavy lifting 24/7 for you as you run your Amazon business.